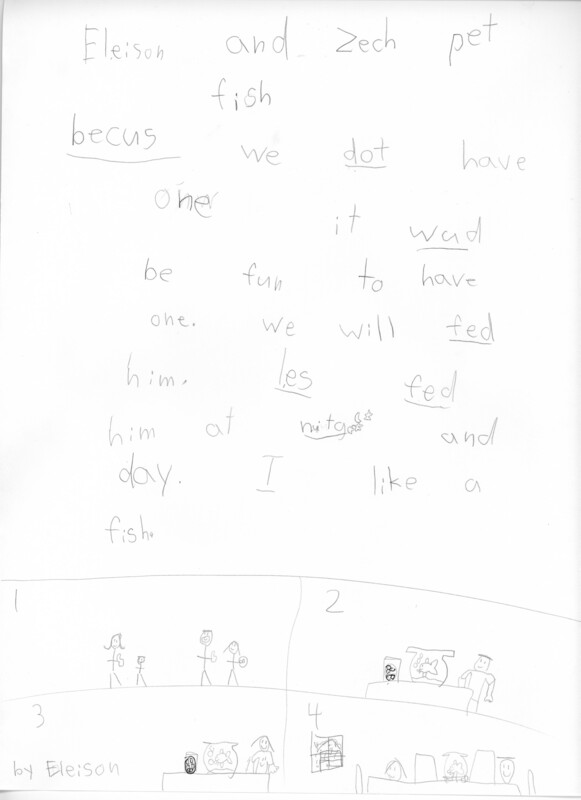 Our kids last week told us that they wanted a fish for a pet (since our son Zech is allergic to most other animals). We told them to write up a proposal (see the reasons and picture above by our 6-year-old daughter), which was approved by mom and dad. Once we got the fish we of course, had to make a video of how to set up the aquarium. Proposal: Eleison and Zech Pet Fish. Because we don’t have one. It would be fun to have one. We will feed him. Let’s feed him at night and day. I like fish. Picture 1: Dad and Mom giving a thumbs up to the fish they picked out. Picture 2: Zech feeding the fish. Picture 3: Eleison feeding the fish. Picture 4: Putting a blanket under the fish to keep it warm during the winter. One Response to "How to Set Up an Aquarium"
What a helpful and informative video! I also liked the proposal and artwork. Very compelling!